Affiliated with the Ming Tombs, the Sacred Road was originally built to lead to the Changling mausoleum. It was considered to be the road leading to heaven. Chinese emperors were known as the Son of Heaven. During their reign they often passed through the sacred road to the sacrificial altar in order to converse with heaven. After their death, the funeral procession also took the path through the Sacred Road as a symbol of the passed emperor 's journey to heaven in the afterlife. To enter the Sacred Road, one must first go through the huge Memorial Stone Arch guarding its entrance. 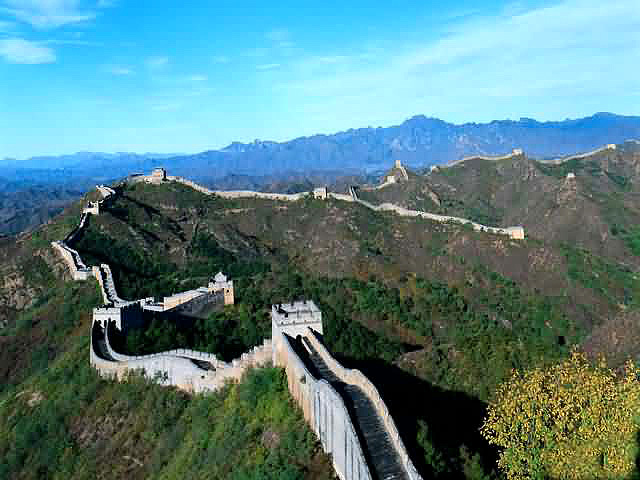 Built in 1540 during the Ming Dynasty, the arch is the largest and earliest of its kind. It has six poles and five archways. Designs of kylins (a legendary mascot), lions, dragons, and mythical beasts are gracefully embossed on its surface. 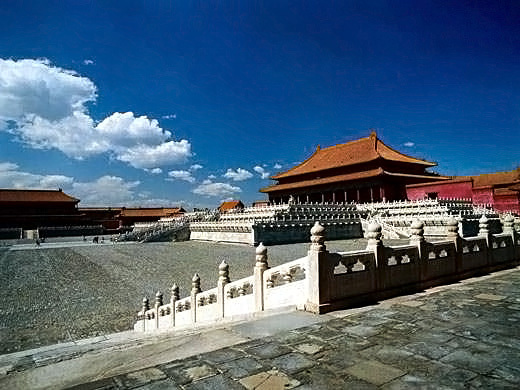 The Great Red Gate has three archways and serves as the main gate for the whole imperial cemetery. A stele stands on each side of the gate with an inscription reading "Officials must dismount from horses", which demonstrates the supremacy of the imperial power and the sanctity of the Sacred Road. Further along the path, visitors will find a stele pavilion. At the four corners of the pavilion, there are four tall marble columns each towering about ten meters (32.8 feet) into the air. Each column is engraved with dragons and has a mythical beast sitting on the top. As the story goes, the beasts facing south remind the emperor to go out of the palace and among the people to observe their situation and needs. The beasts facing north summon the emperor from an insignificant outing to return to handle state affairs. Alongside the Sacred Road are 18 pairs of marble figures lined up opposite each other, almost as if watching those passing by. These creatures include twelve pairs of animals such as lions, horses, elephants, camels, and other hulking beasts, and six pairs of human beings such as generals, and public officials. 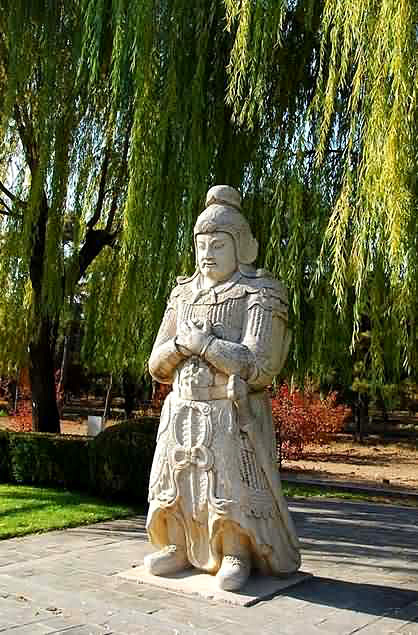 The tradition of setting up marble statues as guards of honor in front of the mausoleum began in the Han Dynasty. It signified the royal dignity of the emperor while attempting to bring good fortune and ward of evil influences. 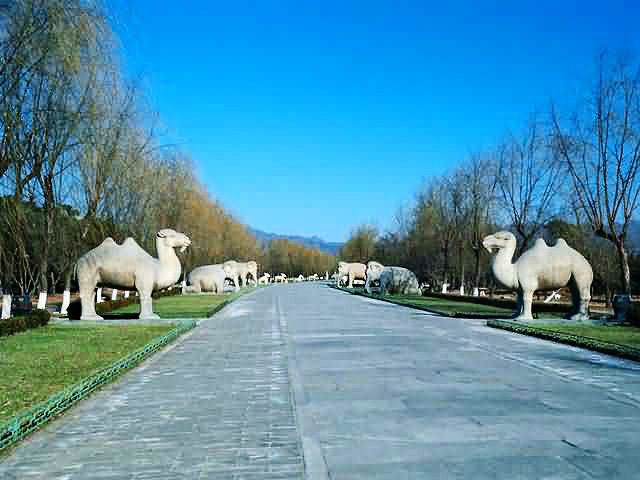 The avenue of stone animals and statues ends at the Dragon and Phoenix Gate. But the Sacred Road continues on until it reaches the chief tomb, now the resting place of Emperor Yongle. This site offers a clear window into the beliefs and traditions practiced in China hundreds of years ago. But watch your back, you never know who or what might be watching you!